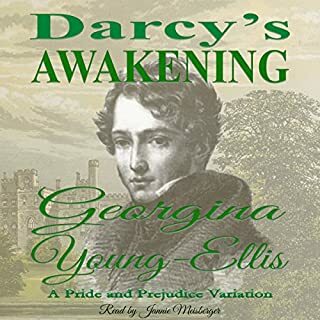 Fourteen-year-old Elizabeth Bennet thought Fitzwilliam Darcy, her friend Georgiana's brother, was the most wonderful, handsomest man in the entire world. When he went to India to fight Britain’s enemies, she made him promise to write her along with Georgie regularly. There wasn't anything improper, since Georgiana and she had sworn to be sisters. When Elizabeth and Georgiana learned that Fitzwilliam was captured, they kept writing letters to him, so that when he was released, he would know that he had not been forgotten by those who loved him. How could one simple decision change the course of a man's life? 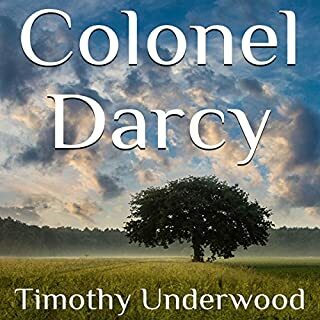 In this fast-paced novella set in Regency England, Mr. Fitzwilliam Darcy of Pemberley in Derbyshire and Darcy House in London finds himself unwillingly, or possibly willingly, attached to Miss Elizabeth Bennet. With visions of their life ahead, he presses forward until everyone in her family and his are finally convinced they are a match made in heaven. Or, are they? 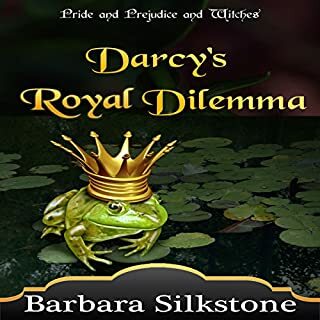 Will Lizzy Bennet accept Fitzwilliam Darcy's hand in marriage? Can a union between two strong-willed witches find a happily ever after in the world of Regency? Can Lizzy teach the love witch a thing or two about being lovable? And will one of the most powerful witches in England - who also happens to be Darcy's mother - accept Lizzy as worthy of her son? And what is the deal with Wickham? If you enjoyed the Mister Darcy series of comedic mysteries and The Witches of Eastwick, you don't want to miss The Witches of Longbourn series. Barbara begins this book with a 'What!' 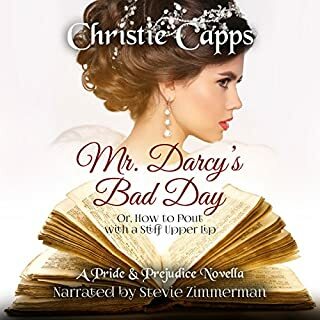 Lizzie is kidnapped by Mr. Darcy? And of course, Lizzie believes he has nefarious intentions. Why else? In searching for the man, she finds him in the woods of Pemberley with, of all people, Caroline Bingley. Oh, my. 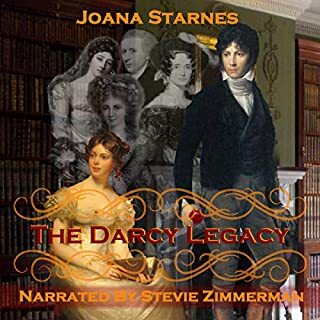 Why does Darcy kidnap her? His mother's curse. Then we meet up with Fiona Feelgood again. She wants Lizzy to teach her how to love someone without putting a spell on them. As for the curse....Who is cursed? Has the curse been lifted or not? I'm not telling. Barbara's wit and humor is seasoned with just the right amount of angst for a great story. But it is not over yet. I was so happy to see that Jannie Meisberger continues to narrate for Barbara. Her accent brings the characters and story to life. A wonderful story to listen to. ill keep this short! the title of this review says it all. This was so much fun and a really quick fast paced read. What does Jannie Meisberger bring to the story that you wouldn’t experience if you just read the book? I listened to it all in one session - captivating! Disclaimer: I am totally addicted to Barbara Silkstone's books! Not many authors can snark so well or have the reader groaning quite so loudly over the gawdawful puns! The situations and plot twists are both diabolical and ingenious. Just like her way of producing several short interconnected books that leave you wanting more instead of groaning over the 700 page wonders. 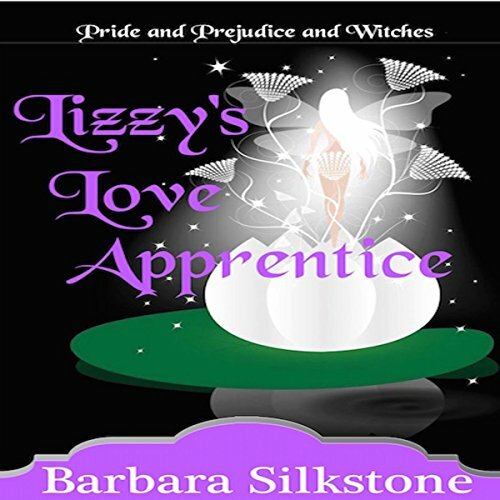 In this episode, Lizzy nearly reaps the effects of declining Darcy, sees Caroline become a mud turtle, is tasked with teaching the love witch how to be loveable, worries over two of her sisters, speaks with Darcy's mother in a painting, and is commanded to be mistress of the prince regent! I still don't see how Jannie Meisberger can do such a remarkable narration without ROFL. Well, this a funny explanation why Darcy is all wet. I like the new secondary characters & as I have said in my previous review's I like the addition of magic. 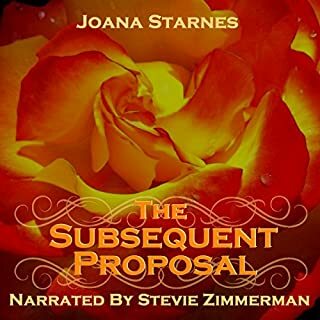 The narrator, Jannie Meisberger is wonderful. I swear with each of these books, she starts to sound more and more like Dame Julie Andrews. I will not give any spoilers away, but it is a lovely follow up and I can't wait for the wedding in book 3. Please give a listen, parts of the book really are better on Audible.